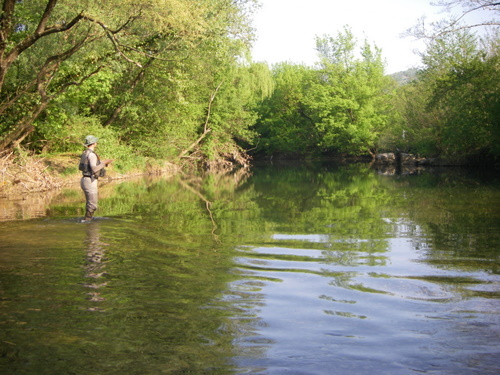 The angling club Rence which i am part of also manages a part of Vipava river, where only catch and release is allowed. It´s about 1 kilometer long area inhabited by salmonids. Our goal is to make no intrusion to aquatic habitat and let the nature do it´s work. I think this should be the practice on all running waters, but for now it´s only a dream. After 1 year of break we decided to visit this part to see the conditions after two huge floods that striked last year. My first impression is, that a lot of changes occurred, with a lot of new gravel accumulated on the bottom of the river. Because of less rain and snow the water is clear and low, so you can see the bottom several meters below the surface. 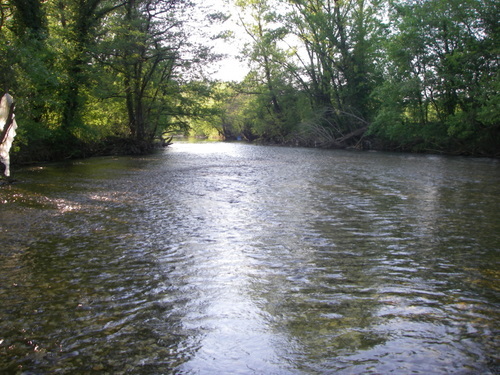 The fishing approach must be subordinate to these conditions. 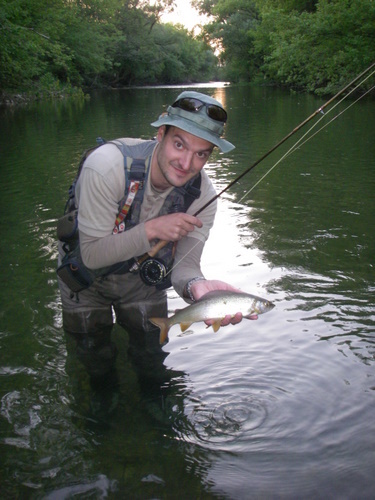 What impressed me most is the quantity of grayling (after those floods i was skeptic about the quantity and quality of fishes living in the Vipava river). I estimate that the average size is about 25-30 centimeters and all the time we were fishing, they were very active on the surface. We tried to avoid them as much as possible, but for some of them we were not enough watchful. 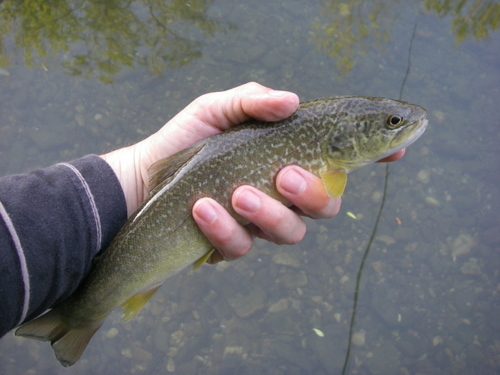 On the nymph we catched some smaller marble trout, which indicates that less intrusion of men is more productive in terms of quality and quantity of the water ecosystem.